The Prince of Peace Church offers many opportunities to study God's Word. 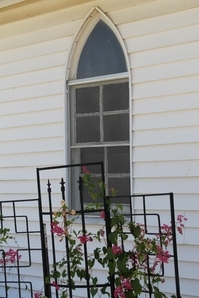 We have Sunday Worship services, which include Bible studies for children and adults. We gather in small groups to enjoy a time for learning and sharing and to expand our knowledge of Jesus' teachings and deepen our devotion and spiritual well being. Women in God’s Service is for all women at Prince of Peace. Each of us can use our spiritual gifts for the glory of God and the encouragement of one another. WinGs is a growing ministry that welcomes your participation, questions, and ideas. It is the purpose of WinGs to promote lasting friendships through fellowship and service to our church family, our community, and other meaningful outreaches. Let us join hands and hearts in the accomplishment of this purpose. All women of the congregation are considered members of WinGS. Lutheran Adult Fellowship, sponsors monthly activities and community service projects for congregational members and friends. Our time together is both fruitful and enriching. The Adult Christian Education Studies meets each first and third Wednesdays of the month and begins each night with a light supper at 6:30 p.m. with class beginning shortly thereafter. Join us for interesting and informative classes. Young adults today live in a very complex world, and our society can sometimes put too much pressure on them. It's up to us as parents and a church family to provide a Christian foundation for our children and youth, to teach them Christian values, nurture them and support them as the Lord has instructed us to do and prepare them to face the challenges of the world. 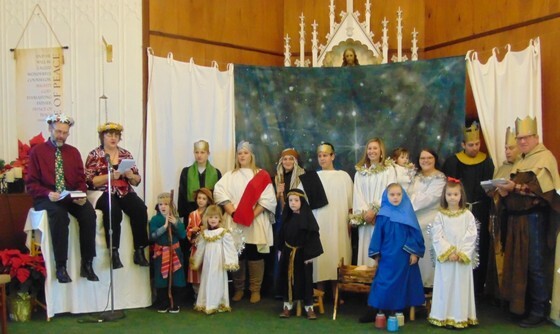 At Prince of Peace, we offer Sunday School for our children after our worship services and during the summer, we partner with other congregations for Vacation Bible School. We also include a children's sermon as part of our worship to help our little ones better understand how to apply Christian principles in their daily lives. Presenting biblical concepts through the use of examples, games and fun learning experiences is instrumental in showing how these concepts might appear at school, at home, among friends and in the community. Confirmation classes are offered to children when they reach about 12 years of age. Our children spend time in instruction, designed to help them identify with the life and mission of the Christian Church. The program extends over two years and includes study in the catachism and the Bible. The Rite of Confirmation provides an opportunity for the individual Christian, relying on God's promise given in Baptism, to make a personal public profession of the faith and a lifelong pledge of faithfulness to Christ. Confirmation teaches Baptized Christians who wish to become Lutheran: Martin Luther's theology on the Ten Commandments, the Apostles' Creed, The Lords' Prayer, Baptism, Confessions of Faith and the Lord's Supper. Vacation Bible School is an important part of our youth ministry each year. Each year, we evaluate how to offer our children grades K - 6 the best experience possible. Since we are a small congregation, we often partner with a sister church in Taylor for VBS instruction to provide an exception social and learning opportunity for our youth.